The annual Safaricom Diabetes walk is set to take place on Saturday 9th July at Carnivore grounds. The annual walk is not in its 12th year and more than 10,000 people are expected to be part of it. The aim of the event is to create, raise awareness, as well as funds to help disadvantaged children fight the disease through provision of insulin. The walk which aims to raise Kshs.17 Million will first take place in Nairobi, then in Mombasa later this month. Last year Kshs.15.8 Million was raised. Diabetes and complications related to it is unfortunately still killing a lot of people every year. This unfortunate scenario is occasioned by the fact that diabetes takes long to manifest and often times people only realize that they’re suffering from it when complications have already set in. Add to that the high cost of managing the disease and we have a real big problem. Diabetes was once thought to be a disease for the rich but that’s not the case. Today, about 80% of diabetes cases and deaths in developing countries are recorded among low and middle class income earners. 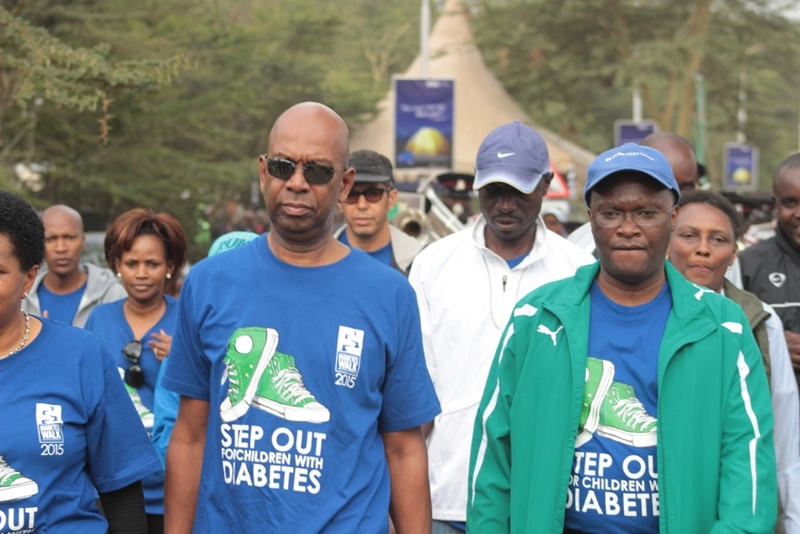 As has been the tradition, the Safaricom Diabetes Walk will take place first in Nairobi before heading to Mombasa later this month, and this year targets to raise KES 17 million up from KES 15.8 million raised last year. Safaricom has since 2005 donated upwards of Kshs.45 Million to Diabetes Management and Information centre and has today handed over a cheque of Kshs.5 Million towards funding Saturday’s walk. Diabetes Management centre has been at the forefront of creating awareness through health talks, training peer educators and school teachers, conducting community screening drives and provision of free insulin kits to children living with diabetes. This will certainly go a long way in curbing the spread of diabetes in the country. Prevalence is currently estimated at 3.5% and is expected to raise to 4.5% by 2025. 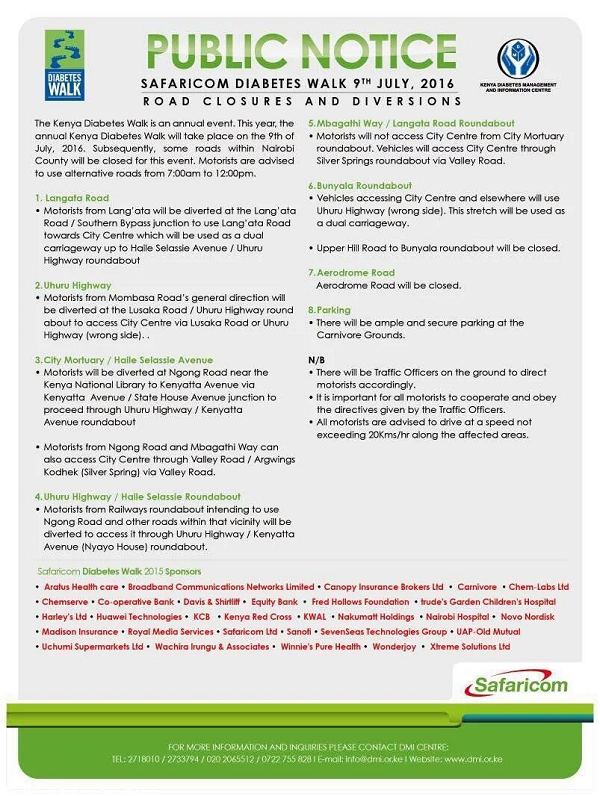 Here is how the roads of Nairobi are planned for Saturday.